When will be Cracker (US) next episode air date? Is Cracker (US) renewed or cancelled? Where to countdown Cracker (US) air dates? 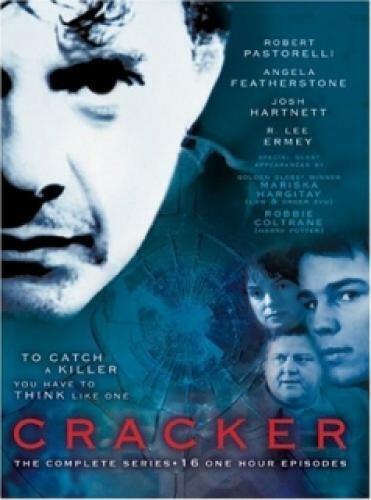 Is Cracker (US) worth watching? Based on the esteemed British series starring Robbie Coltrane. Robert Pastorelli (Murphy Brown) stars as the brilliant criminal psychologist Gerry "Fitz" Fitzgerald. Fitz is a deeply troubled individual who can be insulting, nosey, a drunken excuse for a husband, a lousy father, and a gambling washout but he has one saving grace - he has the uncanny ability to see the evil in people., bring them to confess and walk away unscathed. He seems the understand the criminal mind, most probably because his mind isn't that far removed from the criminals he deals with. EpisoDate.com is your TV show guide to Countdown Cracker (US) Episode Air Dates and to stay in touch with Cracker (US) next episode Air Date and your others favorite TV Shows. Add the shows you like to a "Watchlist" and let the site take it from there.